Built For Comfort You’ll forget you’re even wearing them with safe, soft, premium silicone that gently seals the ear with no hard edges. Easy to wear, plus you’ll get rid of those ringing ears! Great Sound, Quieter Your Hi-Fidelity Ear Plugs will turn down the volume and background noise without distorting the sound, protecting your ears while still allowing you to hear the music perfectly. 100% Reusable They’re made with soft, strong, hypoallergenic silicone - so you can use them over and over again. 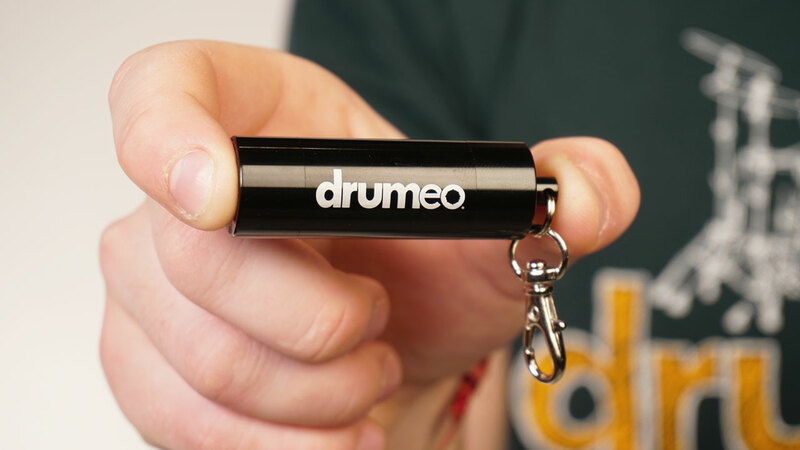 They even come with a sleek Drumeo-branded aluminum carrying case. Protection Level: 11 decibels when used as directed. 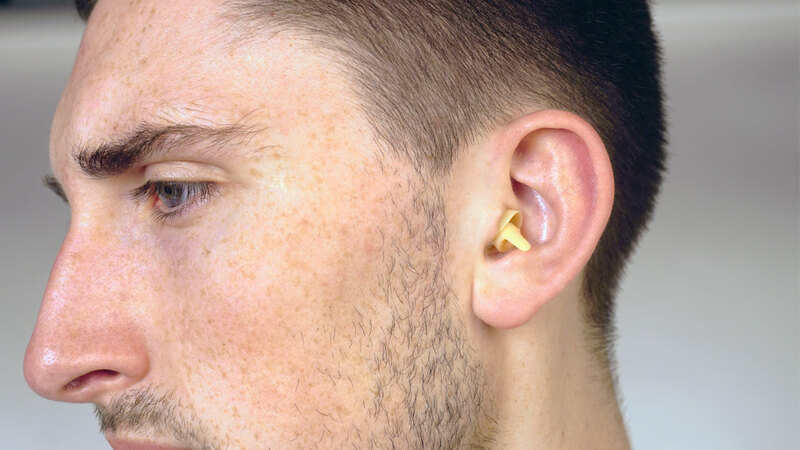 Ear Plug Color: Light tan. Case Color: Black with a white Drumeo logo. 3 Ear Plugs: Yes they’re totally reusable, but you’ll get 3 earplugs just in case you lose one (or if you have 3 ears). 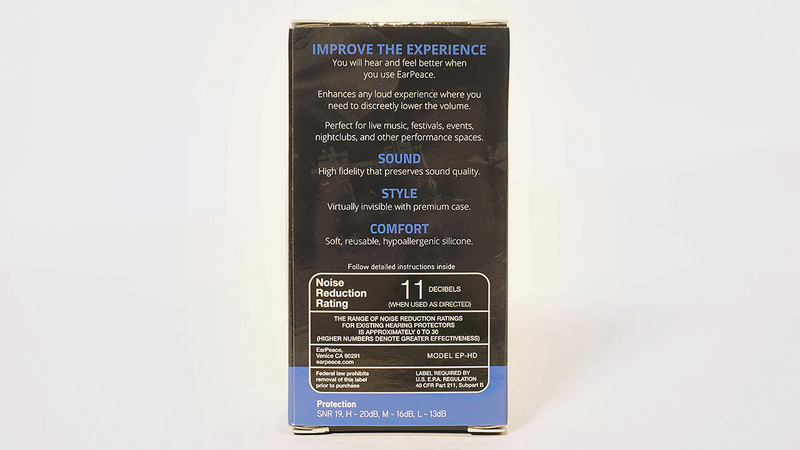 The noise reduction rating is 11 dB when used as directed. And remember that every 3 dB increase is a doubling of sound pressure, so a small reduction may not feel like a big difference, but every 3dB halves the amount of time you can safely listen to that level of sound. 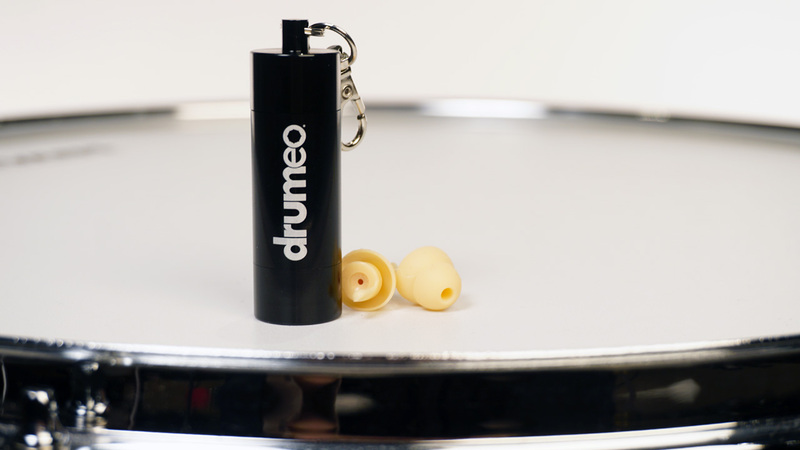 1 Carrying Case: Never forget your Hi-Fidelity Ear Plugs thanks to a premium, Drumeo-branded carrying case that includes two chambers and a carabiner clip. 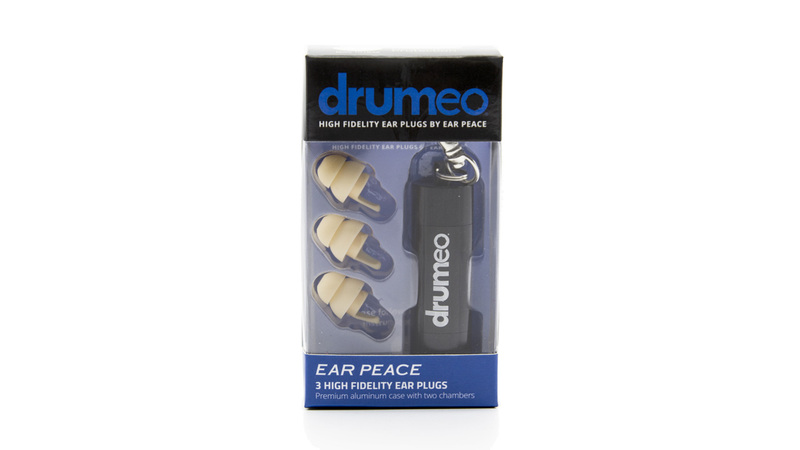 Drumeo branded EarPeace Hi-Fidelity Ear Plugs are designed to provide comfortable, discreet hearing protection for situations like live music, nightclubs, sports arenas, the movies, and more. 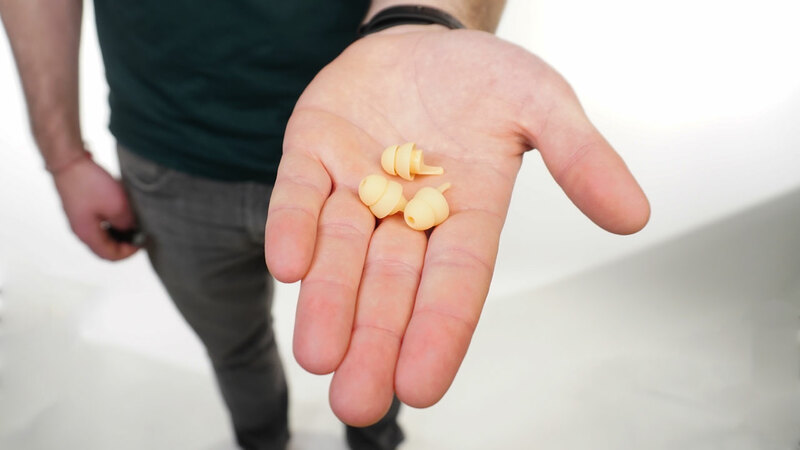 However, the effectiveness of these earplugs depends on the circumstances of use and will also vary depending on factors such as the size of the user’s ear canal. 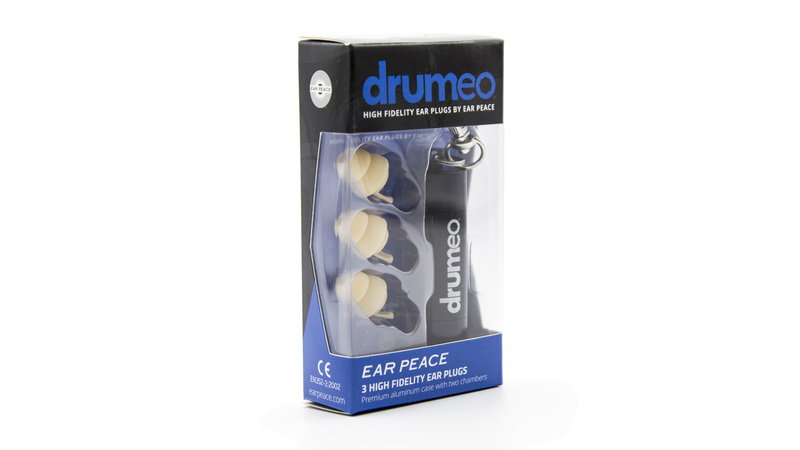 Please do not use Drumeo branded EarPeace Hi-Fidelity Ear Plugs if you are going to be in situations that require a greater degree of protection than the Ear Plugs can afford. Please do not use them if you feel like your ears simply won’t accommodate a good fit. Drumeo branded EarPeace Hi-Fidelity Ear Plugs are not intended to be used in situations where there is intense impulse noise such as with firearms or heavy machinery like jack hammers. Noise induced hearing damage is a factor of exposure time and decibel level. Depending on the decibel level, hearing damage may occur even if Drumeo branded EarPeace Hi-Fidelity Ear Plugs are used correctly. You are encouraged to wear stronger ear protection if your situation requires more than 11 dB of protection. If you cannot remove the earplug or it has damaged the ear, please seek immediate assistance of an ENT physician.